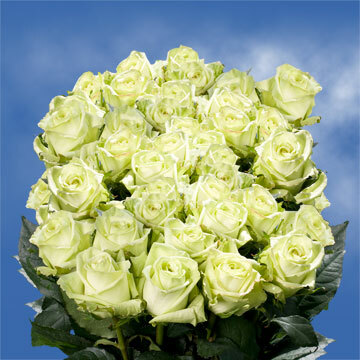 The Green Tea Rose is a light green bud that is full of beauty. 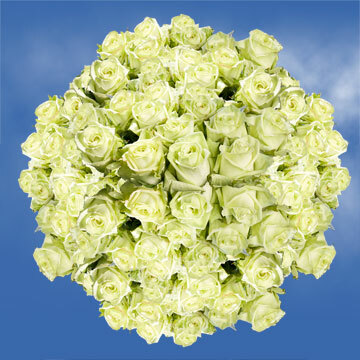 Like most light colored blossoms, it can add a touch of color to any bouquet. Its natural green color sparks the imagination of beautiful spring themes. 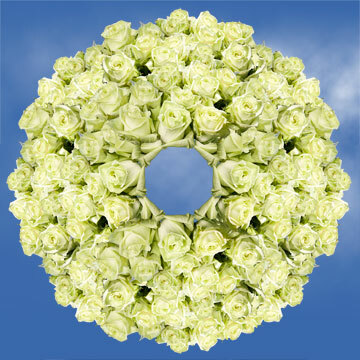 They can be paired and used in centerpieces, bouquets and any other find of floral arrangements. Thanks to their natural green color they are popular during St. Patrick's Day festivities. Though this floret is sometimes mistaken to mean envy, thanks to the saying green with envy, this flower traditionally signifies natural and fertile beauty. 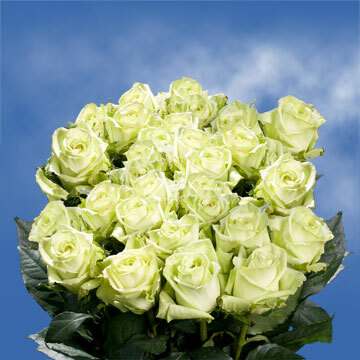 The Green Tea Rose if the perfect gift for expecting mothers. 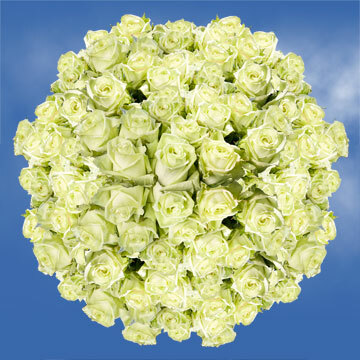 At Globalrose we are proud to provide our customers with all year round availability. Our state of the art greenhouses use only the most modern techniques to produced some of the industry's highest quality products. Our Colombian bases facilities are located in some of the world's best climate giving our flowers everything they need to grow strong a beautiful. We ship only with FedEx to insure quality delivery. We package our products so that they stay fresh all the way from our greenhouses to your doorstep, guaranteed. 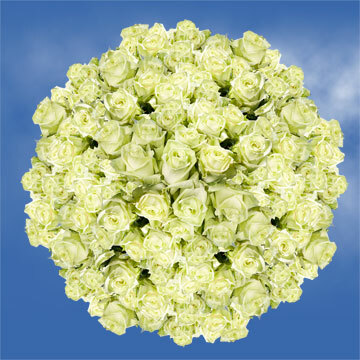 The flowers will arrive to your door in the close bulb shape, please remember to allow them up to seventy-two hours for your buds to bloom into their full cup shape.